City Vision is Auckland’s centre-left local body political group. We represent the local Labour and Green parties and other progressive people who are active and keen to represent their communities but do not belong to any political party (community independents). City Vision was formed in 1998 as a political grouping to work to protect and develop our city and communities. From the start, we have championed policies to grow Auckland into a beautiful, healthy, economically and environmentally sustainable city for ourselves and our children. Since 1998 we have contested Local Government elections. Our candidates have a strong track record of service to ratepayers and Auckland’s communities. Rudman is mistaken when he describes City Vision as a front for the Labour Party. It is not a political party as such, but a group formed 17 years ago to put forward progressive policies and candidates for local elections within the old Auckland City Council area. City Vision is a partnership between Labour and Green parties and people like myself who do not represent any political party, known as Community Independents. 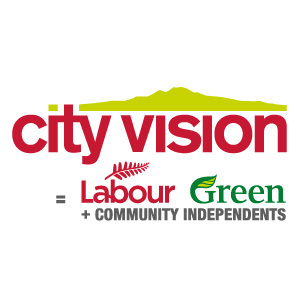 For example 10 out of 15 members of the Albert-Eden and Waitemata Local Boards are from City Vision: 3 are Labour, 2 are Greens and 5 are Community Independents. I am proud to have been re-elected for five terms as a City Vision candidate. During that time it has been possible to achieve far more for the citizens we represent by working together as a collaborative team with well-established policies rather than as disparate individuals making it up as they go along. Great letter Graeme! I find that more and more people do know what City Vision is about.